To outsiders, Florida seems baffling. It's a state where the voters went for Barack Obama twice, yet elected a Tea Party candidate as governor. Florida is touted as a care-free paradise, yet it's also known for its perils - alligators, sinkholes, pythons, hurricanes, and sharks, to name a few. It attracts 90 million visitors a year, some drawn by its impressive natural beauty, others bewitched by its man made fantasies. Oh, Florida! explores those contradictions and shows how they fit together to make this the most interesting state. 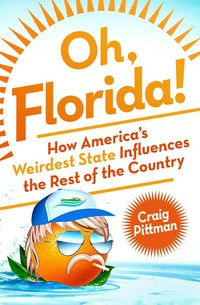 It is the first book to explore the reasons why Florida is so wild and weird and why that's okay. Florida couldn't be Florida without that sense of the unpredictable, unexpected, and unusual lurking behind every palm tree. But there is far more to Florida than its sideshow freakiness. Oh, Florida! 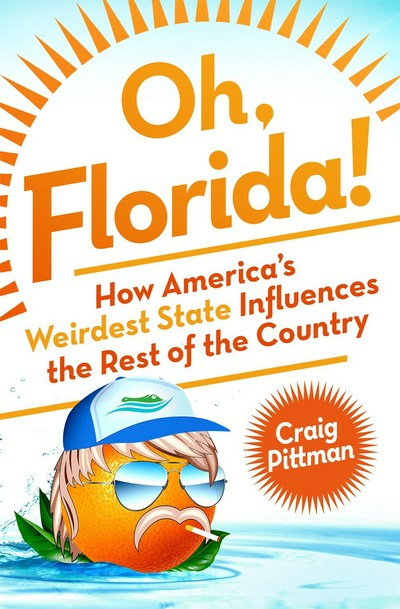 explains how Florida secretly, subtly influences all the other states in the Union, both for good and for ill.
A fun and fact filled investigation into why the Sunshine State is the weirdest but also the most influential state in the Union. Oh, Florida! That name. That combination of sounds. Three simple syllables, and yet packing so many mixed messages. To some people, it's a paradise. To others, it's a punchline. As Oh, Florida! shows, it's both of these and, more importantly, it's a Petri dish, producing trends that end up influencing the rest of the country. Without Florida there would be no NASCAR, no Bettie Page pinups, no Glenn Beck radio rants, no USA Today, no "Stand Your Ground," ... you get the idea.